Once you've decided what type of cable you want, download the product data sheet to see how to build your cable part number. It's super easy and super convenient. No need to get a custom quote. FOCMR62-001M-STST-BL = Cable with a PVC jacket, 62.5-micron core, 1-meter length, ST-ST connectors in blue. 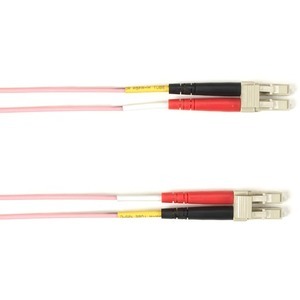 FOCMP50-008M-STLC-OR = Cable with a plenum jacket, 50-micron core, 8-meter length, ST-LC connectors in orange. FOCMRSM-030M-SCLC-YL = Cable with a PVC jacket, 9-micron core, 30-meter length, SC-LC connectors in yellow.